One of the country's well-respected soldier who was awarded as one of the Outstanding Filipino Soldiers Awardee Commodore Vicente Cejoco revealed a very controversial and alleged secrets of Sen. Antonio Trillanes during his PMA days and his family as a whole. According to the expose of Commodore Vicente Cejoco, Sen. Trillanes belonged to the most junior and last class of PMA cadets he handled at PMA as instructor in Engineering subjects. 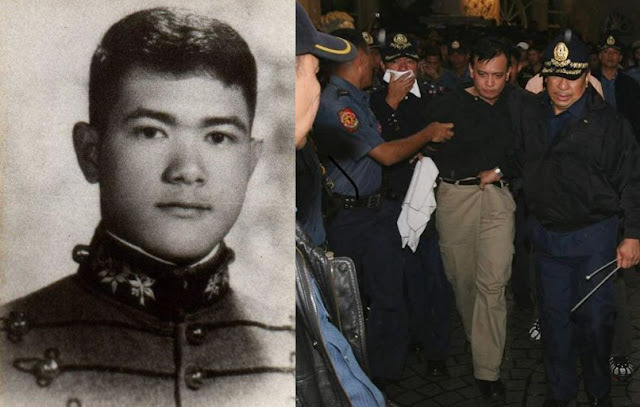 The father of Sen. Antonio Trillanes IV, Antonio Trillanes Sr., PMA class of 1959, served as the Asst J-6/Deputy Chief COMMEL, AFP when Cejoco was the Commander of the PMA COMMEL Compay and the COMMEL Staff officer of General Biazon during his stint as PMA Superintendent. Commodore Cejoco revealed that Antonio Trillanes Sr. always called Dumbguard Trillanes IV to report to his office after asking the AFP Commandant-General Victor Garcia and General Narciso Abaya to release Trillanes IV from any duty during Saturdays and Sundays. While his mistahs were dying in the hallways of Melchor Hall during company level punishments or mase-mase, Antonio IV was enjoying in my office cooking and eating lots of boodles along with his 3 room mates. The outstanding soldier Cejoco also noted that the mother and father of Trillanes IV always visited Baguio City at the headquarters of the PMA as they stayed in his room free of charge with all amenities and foods provided by his office aside from the free transportation. After the retirement of Trillanes Sr., he became a dealer-supplier of various items at the General Headquarters of the Armed Forces of the Philippines. During those times, conversion and ghost deliveries were rampant and his father was able to convert DBM SARO to cash - the budget intended for AFP-PNP Telephone Directory publication. "Trillanes belonged to the most junior and last class of PMA cadtes I handled at PMA as instructor in Engineering subjects. 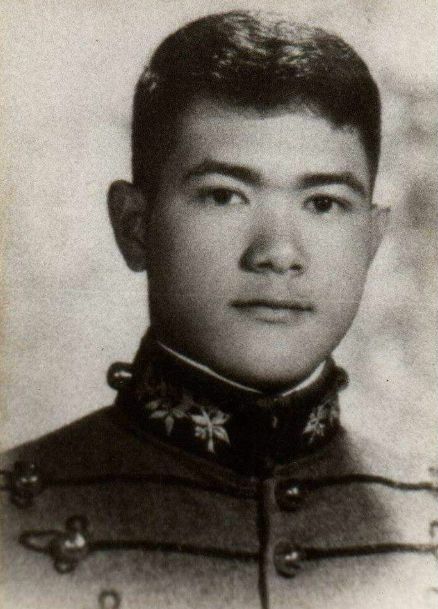 His father- Antonio Sr - PMA class 1959 - was the Asst J-6/ Deputy Chief COMMEL, AFP when I was the Commander of PMA COMMEL Company and the COMMEL Staff officer of GEN BIAZON during his stint as PMA Superintendent. Antonio Trillanes Sr always called Dumbguard Trillanes IV to report to my office after asking the PMA commandant - General Victor Garcia and General Narciso Abaya to release Antonio IV from any duty during Saturdays and Sundays. While his mistahs were dying in the hallways of Melchor Hall during company level punishments or mase-mase, Antonio IV was enjoying in my office cooking and eating lots of boodles along with his 3 room mates. Medyo may pagka shabby/ swapang rin ang mokong na ito. Yung tatay at nanay nya ay palagi umaakyat sa Baguio, sa kwarto ko sa office natutulog. Libre lahat - hatid sundo ko, pakain ko, etc. They usually arrive late Friday afternoon and depart early morning of Monday. When I reported for duty at the Office of the Chief COMMEL. AFP upon request of the Chief COMMEL, AFP. Antonio Trillanes Sr just retired and was a "dealer-supplier" of various items at GHQ, AFP. During those times, conversion and ghost deliveries were rampant and his father was able to convert DBM SARO to cash - the budget intended for AFP-PNP Telephone Directory publication. Unfortunately, that money was used as a bet in the casino and mahjong where Antonio Sr lost everything in a blink of an eyelash. Being new to the office, I never had any idea of what was going on in my office..... My first task then on my first week of duty was how to produce P 1.5 million cash to print the AFP Telephone directory at the time that the converted cash was already lost from Antonio Sr's gambling activities. Pagkamalas ko naman, kagaguhan ng Tatay ni Antonio IV ako ang nautusan maghanap ng pera kapalit sa nilustay ng kanyang tatay...I accomplished my task to produce funds and print the AFP Directory using funds I solicited from various commercial companies.